Seeking well-deserved rest and relaxation, Mario and Princess Peach travel to a beautiful remote island. However, when they get to the island, they quickly find out a mustachioed maniac has mucked up the entire island, and Mario is accused of committing the crime. 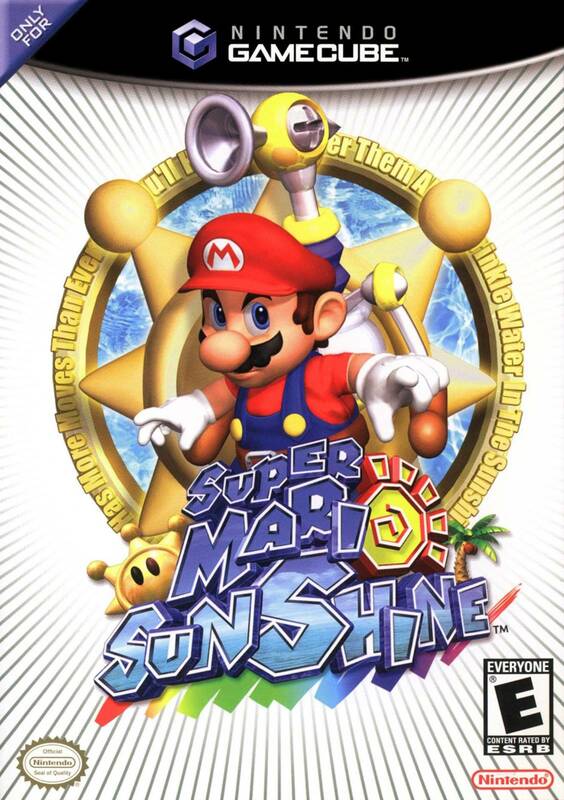 Armed with a hi-tech water cannon called FLUDD (Flash Liquidizer Ultra Dousing Device), Mario sets out to clean the island, clear his name, and solve the mystery of the villainous vandal. Great game.Lukie games are great. Perfect game condition and received when they said was coming. This game is really fun, and it reminds me a lot of Mario 64 for Nintendo 64. It adds a water pack to your back which lets you fly around and spray things. My daughter loves playing it. This was my first game purchase from the site. The game came complete as advertised and included the disc, case, and instructions. The case and instructions were a little dinged up but that is to be expected for an older game. The important part is that the disc was in flawless condition and contained no scratches or any other blemishes. Overall I'm happy with my purchase. I ordered this game and couldn’t wait until it was here. When it finally arrived I couldn’t even play it because it was all scratched up. Had to send it back. Am please to say that I will be receiving a refund and customer service was helpful. My copy came in great condition,both the box and disc itself! I haven't played this game since my elementary school days a little over a decade ago. And I enjoyed playing again after all this time. So addicting. I'm glad Lukie Gaems exist to let me play my childhood video games! I bought this game for my boys. They both LOVE it! It arrived quickly, and in excellent condition. I've been very impressed. I used to play this game as a kid. It had been forever since I had played it, and Im trying to grow my gamecube collection so when I saw the price on this I couldnt help myself. I previously got Windwaker off this site and it was in great condition, and delivered fast. It was the same thing with this game. It arrived probably in 5 days, and it was in perfect condition. Ive recommended friends to this site that couldn't find games they were looking for anywhere, because I knew they'd find the games here. Ill definitely be ordering something else soon. 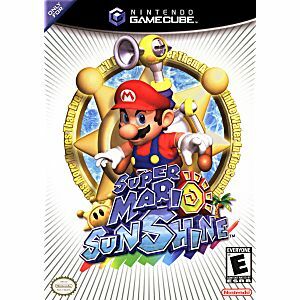 Was very happy with Mario Sunshine. It works great and couldn't be more happier. I would recommend buying games here as they work great. First of all, good luck. now mind you, this is indeed a fun game and the controls do feel nice, i think the main problem most people have with this game is the camera though. so, second, you will come to find this game was intended to torture you, but it is still happy and fun and there's always water around to refill your tank. as an adult i can see why this game brought out my anger as a child... im pretty certain most people will need a walkthrough at some point or another. but the main thing is 100%ing the game really accomplishes nothing... so i've heard anyways, there's like a picture of all the good mario characters or something idk. my suggestion would be to just play it until you essentially beat it, then play it more if you want but i wouldn't fret too much over it. 3 stars, enjoyable but the F-Zero GX of my childhood without me even knowing. Got this game for Christmas. Came in a good amount of time and was in great condition. The game is really fun. It works and the disk was in perfect condition. Glad that it was complete, because it came with vintage booklets and stuff. Great game.